Are you looking for information on how to start your own online casino using the advanced casino software? You have come to the right place. More and more investors are beginning to realize that the online gaming industry is a promising global growth industry and offers a wealth of opportunities. The online gaming industry is growing now more than ever and has become a multi-billion dollar industry with the majority of it’s success occurring over the past 10 years. An online casino can be a very profitable gaming business to run, but in order to do so you have to build up a good reputation that will help generate a loyal client base. Not only that but there is the legal aspects that have to be dealt with if you want to run your online gaming business the right way. If you do things properly though, you can enjoy a very successful business that will provide you with great financial success. Did you know that online gaming business is currently one of the fastest growing business categories in the world? In fact, the gambling industry in the United States alone generates more annual revenues, than the Hollywood movie industry, music industry and video game industry sales combined! Americans spend over $54 billion on gambling annually. In 2010 online gaming business revenues totaled $24 billion from $800 million in 1998. According to H2 Gambling Capital regulated real-money online gambling already generates over $30 billion globally and are forecasted to grow to over $50 billion by 2020. The major trends in online gambling and betting globally are mobile and social gambling. Mobile gambling is expected to reach 50% of gambling revenues by 2020. Predictions of unlimited growth for casino and poker gaming for mobile phones and tablets with internet access increase the potential future profits of worldwide online gambling. The popularity of online gambling is increasing rapidly and this year online gaming business has seen significant growth in Europe, Asia-Pacific region and South America. Many members of the European Union are now moving in the direction of regulating the online casinos and poker rooms instead of prohibiting them. Latin America represents the second best market to target in 2018-2020 after European market. The continued growth in popularity for casino software games, despite recent regulatory changes, is proof of the industry’s strength. Businesses face the challenge of meeting the increased demand for quality, online gaming variety. Predictions of unlimited growth for casino software and sports betting for mobile phones and tablets increase the potential future profits of worldwide gambling. Until recently small entrepreneurs had no chance of getting into the gambling industry, because of huge capital investments, gaming license acquisitions and legal red tape. The internet eliminated all the obstacles. You can now start and promote your own online casino, sportsbook and multiplayer poker room gaming business and generate revenues you've only dreamt about. To legally start and operate an online casino owners turn to sovereign governments in countries that permit online gambling and duly issue licenses for gambling operations. The casinos and poker rooms are registered as offshore gambling operations and in turn, the respective countries gain significant licensing fees and tax-generated revenues. Design and implement all casino software for an online casino which could cost you millions of dollars. You will also need to obtain a gaming license to start and run your online casino, which requires approval from most governments. However, you will have full control of your gambling site, and full knowledge of the source code of your gaming software. 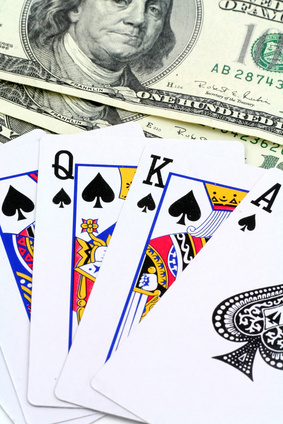 In addition, no royalties are paid out to a casino software development company. Become a Licensee of an Online Casino Software Provider. This is a far less expensive option to start your own online casino and the client receives all the casino software and sometimes even the equipment necessary. It is also the most popular option for both licensed land-based establishments as well as entrepreneurs. Costs range from $30,000 to $350,000. The average licensing fees are around $150,000 (this usually includes marketing costs). In most cases a royalty is paid to the casino software provider as a percentage of the monthly "take" or "drop" (gross profit). Usually the casino software provider has payment processing (merchant account providers) already set up for a fully turnkey operation. Become a Sub licensee of an existing Licensee. This is the least expensive option to start your own online casino. Costs range from $5,000 to $60,000. The sub licensee is responsible for all the marketing and receives a smaller percentage than a full licensee (2), because royalties paid to the licensee are much higher. Worldwide Internet use continues to increase and the demand for online gaming is the driving force of one of most profitable business opportunities of the 21st century. With potential revenues predicted to increase 700% in the next 3 years, the time to stake your claim as an online gaming business owner is now. We offer the most innovative advanced online casino, multiplayer poker, sportsbook and internet sweepstakes gaming solutions with state-of-the-art casino software, Flash and downloadable multiplayer poker software, sports betting and sweepstakes software. We also offer a unique turnkey stand-alone and white label casino and poker software solution to start your own online gaming business. Few business opportunities can offer the large profit potential of online gaming industry or the claim of future market growth that is too great to ignore. Now is the perfect time to get on the inside track of the online gaming industry that is generating billion dollar profits. Contact us today to receive information on available turnkey online casino, multiplayer poker and sportsbook gaming solutions and our account executive will contact you within 24 hours to discuss your options.